2017-2019 Tacoma Poet Laureate Kellie Richardson performs at the Tacoma Arts Month opening party. 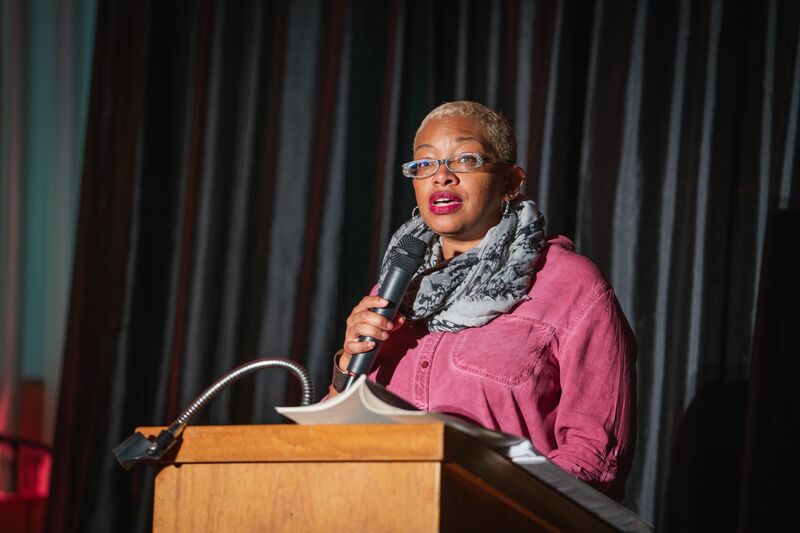 The Tacoma Arts Commission announces the eighth annual Tacoma Poet Laureate competition, the winner of which will be named Tacoma Poet Laureate for 2019-2021. The Tacoma Poet Laureate will hold the title for a period of two years, from May 2019 to April 2021, and receive a stipend of $4,000. The individual will actively contribute to and advance Tacoma’s literary community in meaningful ways through readings, performances, workshops, presentations, publications and/or special projects; participate in Tacoma Arts Month each October; and help produce the 2021 Tacoma Poet Laureate ceremony to announce the next Poet Laureate. The Poet Laureate is expected to determine the direction, focus, and appropriate public components for their term of service. 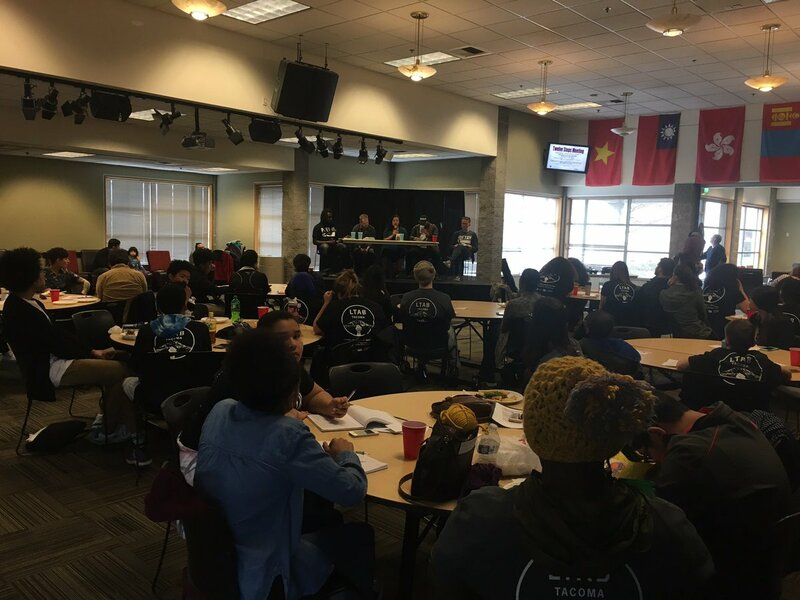 Actively contribute to and advance Tacoma’s literary community in meaningful ways through readings, performances, workshops, presentations, publications, special projects, etc. as agreed upon with the City’s Arts Office staff. Participate in Tacoma Arts Month programming each October (can be participation in a public event that the City is already producing). Competently handle administrative duties including being the point of contact for all programming inquiries from the public, managing a schedule, arranging details for programs, and coordinating press releases with City’s Arts Office staff. 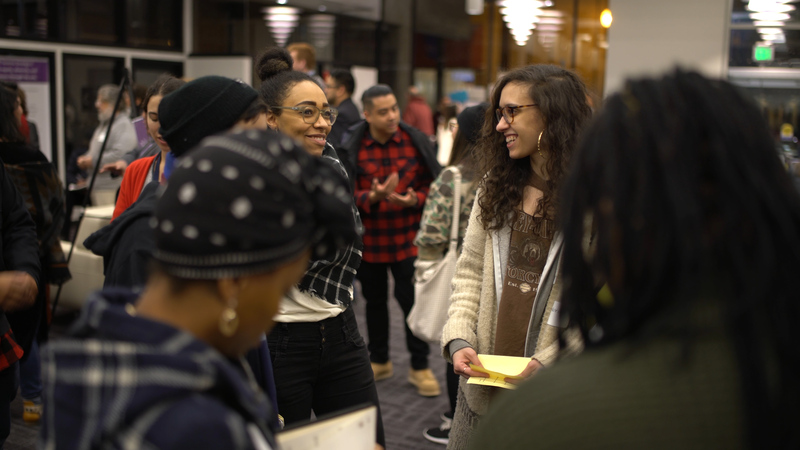 Help produce, with the assistance of the City of Tacoma’s Arts Office, an event in Tacoma in April 2021 to announce the winner of the 2021‐2023 Tacoma Poet Laureate program. Applicant must be a practicing artist, dedicated to producing poetry (in any form, genre, or style) on a regular basis. Applicant must be 18 years or older. Applicant cannot be a previous Tacoma Poet Laureate title holder. Applicant cannot be a current Tacoma Arts Commission member, City Council member, City of Tacoma staff member, or Tacoma Poet Laureate selection panel member. Individuals who are knowledgeable and passionate about the literary, visual and/or performing arts are invited to apply for the Tacoma Arts Commission. If you are interested in supporting, enhancing and providing leadership for the arts in Tacoma, this is a great opportunity. Two Professional positions – Persons with professional experience or training related to the arts, originating from employment or study within the following disciplines: arts or art history, arts administration, architecture, art criticism, art education, curation, conservation, heritage arts, literature, music, new media, performing arts, public arts, visual arts, or a related field. The Commission consists of 15 volunteer members who are appointed by the Economic Development Committee and confirmed by the City Council to serve three-year terms. Members are Tacoma residents who are arts advocates and artists. The Tacoma Arts Commission provides leadership in supporting and enhancing the arts for the benefit of the City and its residents. 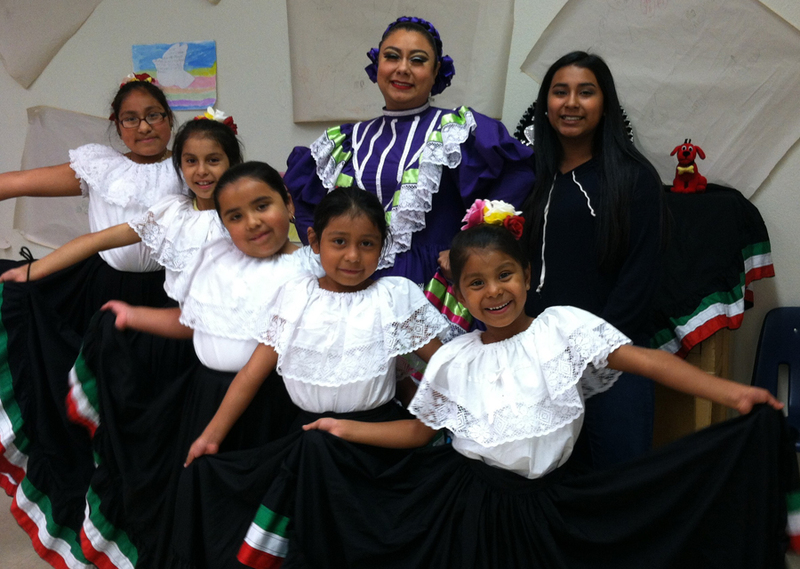 The primary responsibility of the Commission is to create policies to support the ongoing development of arts programs and projects in Tacoma. 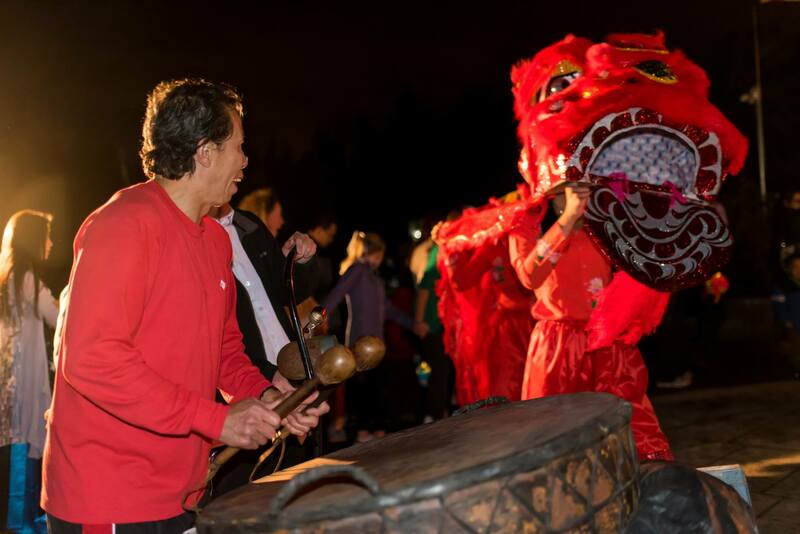 Its primary programs include the funding of artists and arts organizations to provide services for the citizens of Tacoma, Tacoma Arts Month, and oversight of public art as part of the Municipal Art Program. The Commission’s functions are outlined in Chapter 1.28A and 1.28B of the Tacoma Municipal Code. Monthly meetings are held from 5 – 7 PM on the second Monday of each month, in the Tacoma Municipal Building North, Room 16 (728 St. Helens Ave., 1st floor). Beyond monthly meetings, commissioners are asked to sit on at least one committee and one panel each year. Commissioners are also asked to periodically attend and evaluate programs produced by artists and organizations the Commission funds and are expected to attend and assist with all major programs the Commission produces. The Tacoma Arts Commission strongly supports inclusion, equity and access. People who are members of historically disenfranchised racial, ethnic, cultural and other identity groups are encouraged to apply. Applications must be submitted to the City Clerk’s Office by Monday, October 15, 2018. Please visit cityoftacoma.org/cbcapplication or contact the City Clerk’s Office at (253) 591-5178 or servetacoma@cityoftacoma.org, or stop by the City Clerk’s Office, located at 733 Market St., Rm 11, Tacoma, WA 98402, in Tacoma Municipal Building North. Additional information on the Tacoma Arts Commission is available on the City’s website or from Naomi Strom-Avila at (253) 591-5191 or nstrom-avila@cityoftacoma.org. UPDATED 6/25/18: The application deadline has been extended to Monday, July 2, 2018 by 11:59pm. Are you a professional artist that lives in Tacoma and/or has a working studio in Tacoma? Help us advance the visibility of the arts in Tacoma by applying to participate in our 17th annual Tacoma Studio Tour! The Tacoma Studio Tour is an exciting way to open your studio to the public, give demonstrations of how you make your work, or host a hands-on activity for the community. The Tacoma Arts Commission is seeking professional artists who are willing to open their studios to the public for the Tacoma Studio Tour, one of the features of Tacoma Arts Month this October. 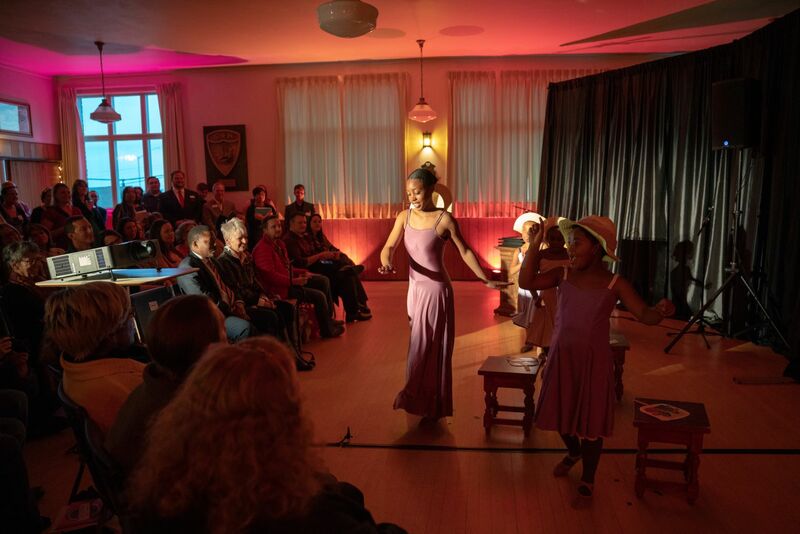 The emphasis of this tour is to raise visibility of the arts and provide artistic opportunities for the community to connect to the arts. We encourage artists to have work for sale. Studios will be open on Saturday, October 13th and Sunday, October 14th from 11 am to 5 pm. Artists can choose to be open on Saturday, Sunday, or both days. The Tacoma Arts Commission will produce extensive electronic publicity materials including email newsletters, blog posts, and an interactive website and map. We will also produce a printed brochure for the Tacoma Studio Tour. The studio tours are free to both the artists and visitors. Artists are encouraged to use the Tacoma Arts publicity materials to invite personal guests and patrons to attend this event. This year, we will be continuing the Studio Tour Passport program as an incentive for people to visit new and/or multiple studios that they’ve never been to before. Each studio space will receive a unique stamp to indicate guests’ attendance. 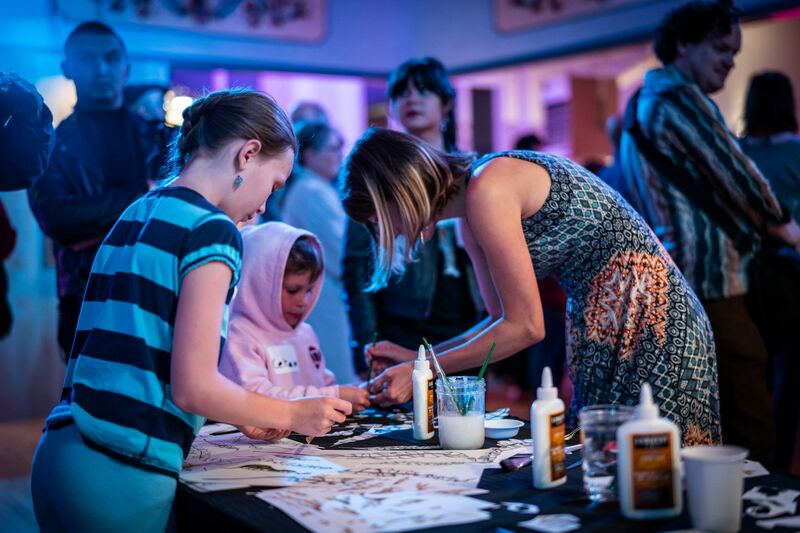 Studio Tour artists are encouraged, but not required, to donate a small art item that can be included in the prize packages. Deadline for applications is Monday, June 25, 2018, 11:59 pm. 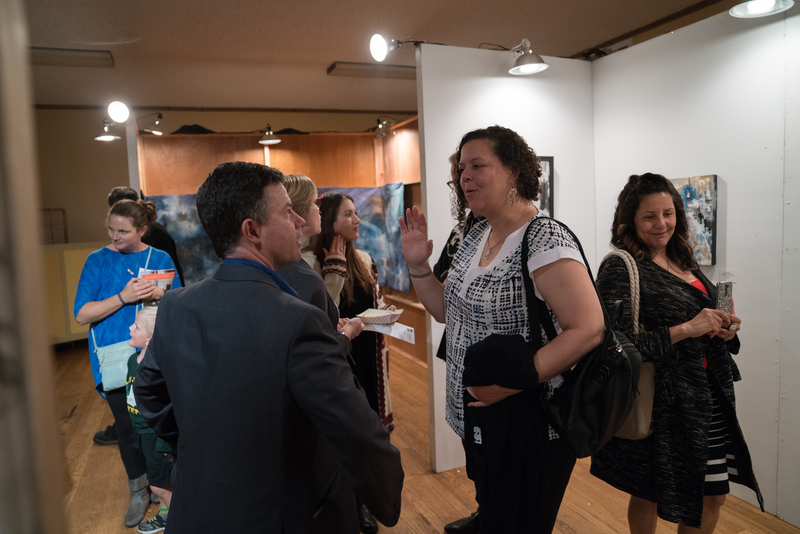 Applicants will be juried in a competitive process by a sub-committee of the Tacoma Arts Commission and selected based on the quality of artwork and the overall diversity of the work presented, as well as geographic diversity of the studios. People who are members of historically disenfranchised racial, ethnic, cultural, and other identity groups are strongly encouraged to apply. Please note: each artist in a group studio needs to submit their own application, work samples, and artist bio.